Read This Book With Me: The Worm and What Do You Do With a Tail Like This? The Worm and What Do You Do With a Tail Like This? The Worm is the second book in Elise Gravel's Disgusting Critters series. It is a non-fiction picture book for lower primary readers which integrates basic factual information with cute cartoon illustrations and fun hand-drawn fonts. This series will be sure to appeal to even the most reluctant young readers and would be a great addition for Foundation and Year 1 classrooms exploring the needs and external features of living things in biological sciences. My seven-year-old son laughed out loud at the hilarious artwork, so I will be looking out for the other books in this series: The Fly, The Slug and The Rat, as well as the next two books The Spider and Head Lice which are due out next year. 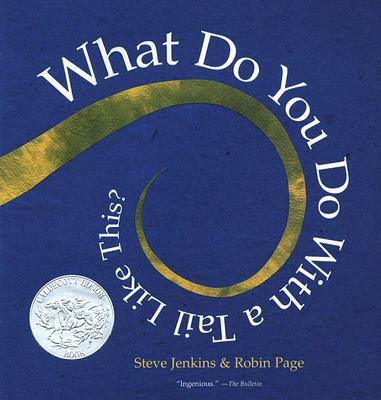 I had only heard good things about Steve Jenkins books, but I had not ever actually read one myself, so I bought What Do You Do With a Tail Like This? You know a book is truly wonderful when you begin reading to one child and your other two children are drawn in by the excited giggling and they creep over to listen too! All three children delighted in guessing what animal each body part might belong to and they were very interested in the more detailed information provided at the end of the book. Who knew that horny devils could squirt blood from their eyes?